Around the world in 42 days … with no bags? Travel author Rolf Potts says he can pull off this record-setting feat, but he’s got a trick up his sleeve, Scottevest Travel Clothing (SeV). SeV has a reputation for clever clothing designs, with multiple purpose-driven pockets developed to save travelers time and money. The average traveler can avoid extra bag fees by supplementing – or replacing – their carry-on bag with a stylish jacket or vest from SeV’s extensive line. Potts is not your average traveler, but his companion: a videographer/producer will help him document his journey as he tests SeV’s packing capacity. 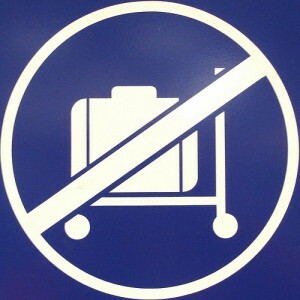 To bring the experience of baggage-free travel to the audience at home, Potts and his traveling companion will share the six-week journey through frequent updates in video, photos and words at NoBaggageChallenge.com. Viewers can follow along as the trek takes them from New York to Paris, from Cairo to South Africa, and from Bangkok to New Zealand before returning back to NYC via Los Angeles. Sponsoring the duo’s round-the-world airfare and travel arrangements is the BootsnAll Travel Network, the one-stop indie travel guide dedicated to connecting independent travelers through their network of websites, blogs, forums and online tools. Potts embarks from New York on the first leg of the six-week No Baggage Challenge starting this Saturday, August 21st.